Reviews, news, and comments on whisky/whiskey. Nose: When first opened there’s a whiff of straight alcohol which quickly runs away to be replaced by grape juice, and chocolate chip muesli bars. Also faint traces of grilled banana and pineapple lumps (the lollies, not chunks of fresh pineapple – for those of you not from the antipodes). Palate: Vanilla, oak spices, citrus, cinnamon, honey. Quite malty and peppery as well. Probably unsurprisingly given the number of different casks that the spirit was finished in, there is quite a lot going on in this whiskey. Unfortunately it never really seems to get its act together – there seems to be five different whiskies swirling around the one bottle. Mouthfeel: Fairly lightweight, dry, no oils. A bit of an alcohol tingle – starting off as a full blown burn, but it dies off pretty damn quickly to just a tingle; although a warmth hangs around. Finish: There almost isn’t a finish – the flavour pretty much just ends as you swallow. The only thing that continues on is a fairly nice lingering warmth. On the rocks: Adding some ice really opens up the fruit – particularly the banana and the pineapple lumps. The palate really washes out with ice – pretty much just leaving malt and vanilla. Ice also completely destroys the finish – what little there was to start off with. Unlike most Irish whiskey, this whisky doesn’t do well when poured over ice. After trying the decent, and refreshingly different Teeling Small Batch; This Teeling Single Malt is quite a disappointment – especially given it costs about an extra 50% on top of the Small Batch. Vatting malts from five different cask finishes – Sherry, Port, Madeira, White Burgundy, and Cabernet Sauvignon – sounds from the get go like it will either turn out brilliantly, or a chaotic mess. Unfortunately in this case, whilst not a complete chaotic mess, it’s not far off. Despite my less than impressed view of this actual whiskey, I’m actually quite glad that Teeling has made it – Irish whiskey has been in need of an experimental history-defying whiskey distillery. So far they have released several decent whiskies, and a couple, including this one, that are less than stellar – this is good though, as hopefully it will mean that they keep trying, keep learning, and if we’re all lucky; bring out a whiskey that will knock us all on our arses in an amazed stupor. I have had a few whiskies in the past that were revolting, which this is not, but I wouldn’t go out of my way to get a bottle. 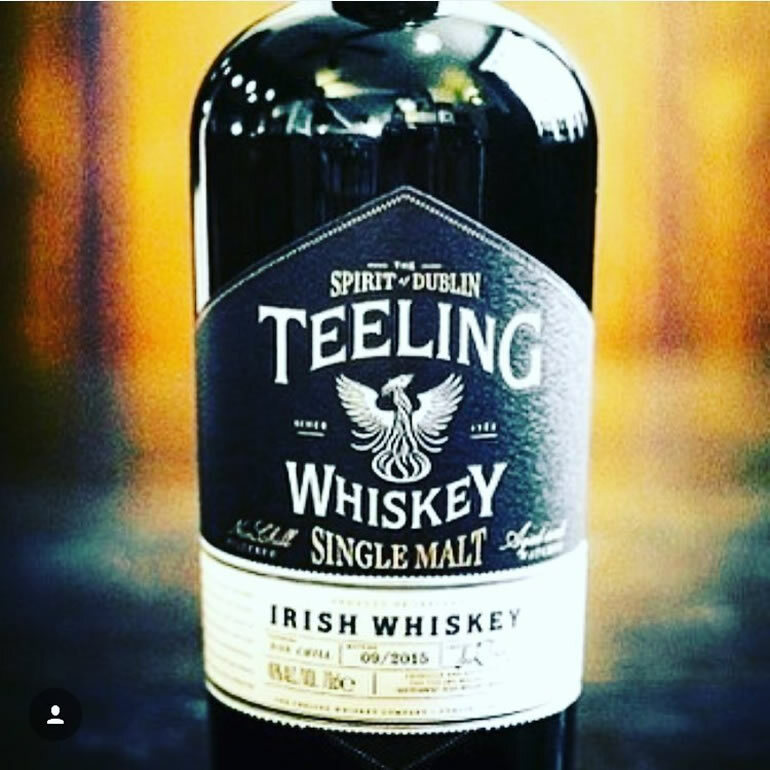 At a time with tonnes of new and interesting whiskies coming from all over the globe, this whiskey just doesn’t measure up – especially when measured against its siblings, the Teeling Small Batch, and the Teeling Single Grain. The Ninja's numbers - A completely subjective score.